In our Barcelona office, we are looking for passionate developers to set up a new engineering team. 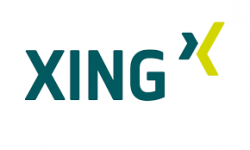 You will be part of the XING Events business unit, that is also located in Munich, Germany. You will work on existing and new products that engage users to communicate offline and online. Take part in the creation of completely new products and features. Work within the XING technology environment, including GitHub, ElasticSearch, MySQL, RabbitMQ, Ruby on Rails, React, iOS and Android technology stacks, etc.